If your professor is asking you to write a descriptive essay, it is time to decide what topic you want to describe in your paper. 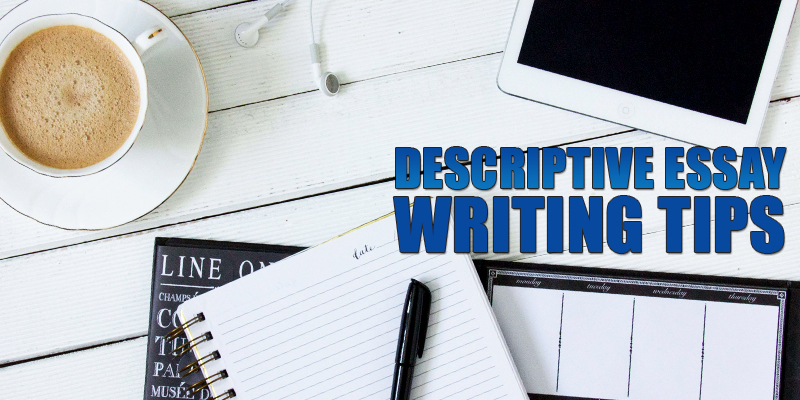 In your descriptive essay analysis, you will have to provide a vivid description of the best features or characteristics of an object of your choice. This is why it is so important to choose the most suitable topic for your paper. Brainstorm several different topics to make sure you have made the best choice. Then, you will have to decide upon the best strategy for describing your topic. In this sense, descriptive essays are no different from other papers such as five-paragraph essays and so on. Thus, as always, you will have to pay key attention to the quality of your first draft. More specifically, you will have to develop a comprehensive draft for your descriptive essay and give yourself enough time to edit and refine it. At the same time, even before you start writing the first draft, list the key words or characteristics associated with your subject. Follow our descriptive essay writing tips to impress your teacher. sea; house; parents; weather; sand; warm; quiet; stormy; game; joy; pleasure; memory, etc. The stormy sea you once observed with your grandparents and how your grandfather explained the nature of the storm to you; etc. Bring these details together to create a cohesive picture of what exactly happened by the sea when you were small. Once you are finished, try to determine the best structure for your paper and the order in which you will present different pieces of your memories. They should create a coherent picture that is understandable and emotionally appealing to your readers. So, begin with some general introduction, which will be followed by three perfect body paragraphs. Finally, you will have to develop a strong thesis statement that will communicate the main idea of your paper. You will have to justify the importance of your topic for your readers. So, as you are moving closer to writing your body paragraphs, do not forget about topic sentences. Actually, each paragraph in your descriptive essay should be devoted to one subject. Each subject should be directly related to your topic and thesis statement. If you feel that you need to change something, you still have plenty of time to do it. Avoid words that are too complicated and sentences that are too long. Include vivid details to make sure that your readers can understand what you mean. For example, while at the sea, we spent our time playing games. I can still remember how my granny and I played hide-and-seek. She would hide behind the trees, and I was supposed to pretend I did not see her. This is how you can create a specific picture of your past. It is simple and easy to understand. Do not hesitate to follow our descriptive essay writing tips, as you are working on your descriptive essay about going to the sea some time during your childhood. Describe the sea you saw. Describe it the way you remember it. Do not make it sound too "adult". You were a child, and your memories are also childhood-like. Tell your readers what it feels to go to a place you used to love so much as a child. Now you are ready to submit your descriptive essay for grading!